Junction box interfaces with all sizes of raceway. 2-piece design provides a surface mounted solution for a variety of media, including voice, data, CATV, fiber, audio and video distribution to the work area. Fits standard NEMA double gang electrical boxes. 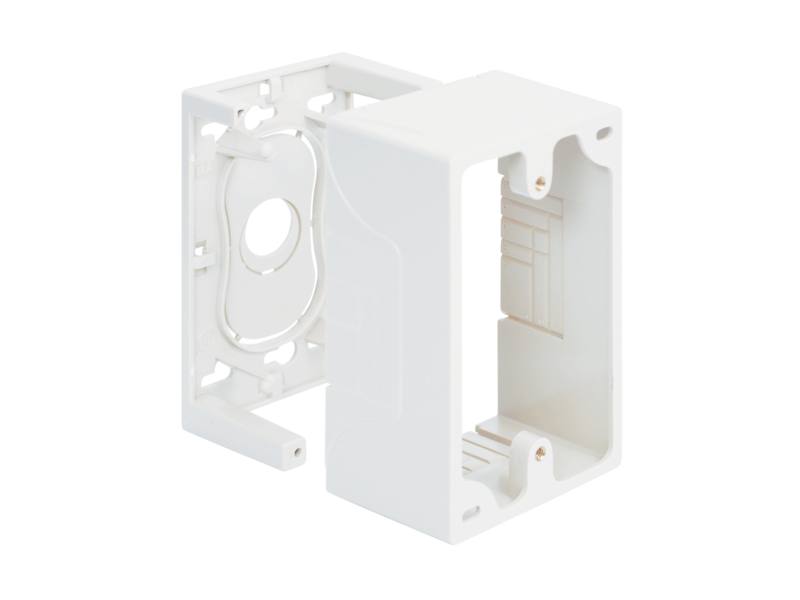 Multiple mounting options including adhesive backings and screws. Integrated internal routing posts and cable management system with evenly spaced cable tie anchor points. Rear cable entry for clean external appearance. Raceway knockouts integrate with raceway systems.